Getting started is as easy as filling out the online application form on our website. Then one of our loan specialists will contact you to set up a vehicle inspection. 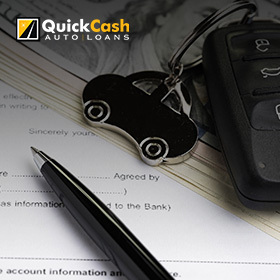 An auto title loan is a fast and easy way to get cash using your car title instead of your credit score. 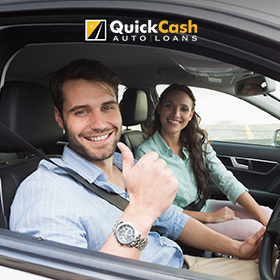 Quick Cash Auto Loans is able to approve your loan application faster than regular financial institutions and the process is extremely fast. Once your vehicle has been inspected at our office, you can walk out with a check in as little as 30 minutes! 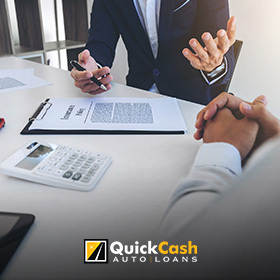 So whatever you need money for, Quick Cash Auto Loans is the perfect option for you, assuming you own your car and have the title. To get started, simply fill out the online application form at the top of this page. Give us a call at (786) 600-3411 or complete the yellow form above by providing basic information about yourself and how much you are looking to borrow, and whether or not your car is paid off. Stop by our office with the required documents and to have your car inspected. Once your vehicle has been approved and your paperwork signed, we will hand you your money for the amount borrowed. It's that easy!